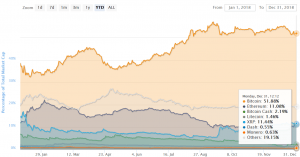 Price-wise, Bitcoin has had a difficult year in 2018, especially given how much hype followed it after the December 2017 peak – and how everyone’s feelings plummeted with the price. Since then, Bitcoin has matured as an investment vehicle, mainly with the introduction of Bitcoin futures. The crash also brought a great level of cleanup, and changed the dynamics in the crypto market considerably. Now, while there’s no saying whether we’ll see more bears or the market will start to recover, generally, the predictions for 2019 tend to be cautiously optimistic – as opposed to those a year ago, which pegged Bitcoin at above USD 100,000 by this time. 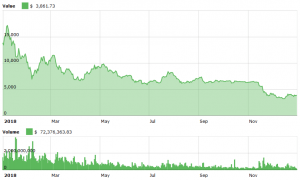 After the December 2017 to January 2018 frenzy ended, many were expecting BTC to recover. Unfortunately, this did not happen and things only got worse. Right now, the price of Bitcoin is below USD 4,000 and there’s no telling whether we’ll see an improvement anytime soon. Statistics have shown that retail investors lost the most during this bearish market. This is why the major sell-off was no surprise, perhaps, and these small scale investors seem less likely to return to the market any time soon. This is not to say that newcomers are giving up completely: a recent study by the Cambridge Centre for Alternative Finance showed that the number of verified cryptocurrency users has almost doubled this year. According to the user activity numbers, it seems that most users are likely still speculators and long-term investors. People were a bit more active than they used to be, however: an average of 35% of users were considered active in 2016, 37% of users were active in 2017, and 38% of users in 2018 Q1. 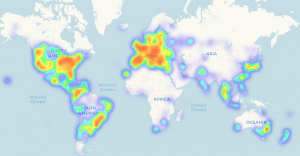 Moreover, the number of bitcoin accepting venues on coinmap.org increased by 25%, to 14,137 in 2018. Meanwhile, Bitcoin ATM installations skyrocketed by 98%, to 4,108 in 2018, according to coinatmradar.com. Of course, the price is often the biggest concern of any investor. A recent paper by New York-based research company Delphi Digital claimed that Bitcoin might bottom out in the first few months of 2019, and that the primary source of selling in the most recent downturn for Bitcoin came from coin owners who have been holding for 3 to 5 years – these very same HODLers seem close to exhausting their selling efforts. However, the current drop may not be all that terrible. And the Bitcoin price is well-known to be leading others: for example, many altcoins are traded against Bitcoin on cryptocurrency exchanges, making Bitcoin the dominant cryptocurrency. However, a clearer answer on Bitcoin prices is hard to get, as many experts evade the question. This should not come as a surprise: many of those that were quick to predict market movements are often ridiculed when the market shifts unfavorably. After all, who can forget McAfee’s promise to eat his genitalia? The Delphi Digital research paper believes in Bitcoin in the long run, however. Bitcoin may well replace offshore accounts as the means to holding private wealth. Once Bitcoin rises in popularity for this reason, more conservative institutions (central banks, state and local pension funds, etc.) 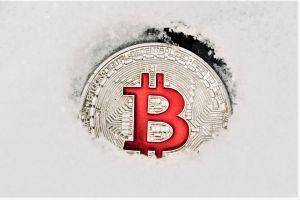 are likely to follow suit as they become more comfortable with digital assets, the paper said. What Could Influence the Price? “Personally, I am excited about Layer 2 solutions on different blockchains, such as Lightning and Plasma, that address scalability, speed and transaction price. What remains to be seen is what sort of widespread impact this will have,” Lan Filipic, COO of Sugi Card, a cold storage cryptocurrency solution, told Cryptonews.com. Adoption is another matter that many in the crypto community consider tightly woven into the fate of the industry. “In the year ahead, crypto adoption will continue in spite of the price slump. It’s likely to slow down but the underlying technology will be enough to attract the crypto-curious,” says Carlos Domingo, co-founder and CEO of Securitize, an end-to-end platform for issuers seeking to tokenize assets. Also, as reported, bitcoin is being used in commerce at a relatively steady rate since February. From February to August this year, the amount of bitcoin spent per month through those payments processors ranged from around 16,500 to almost 20,000, only falling to around 14,500 in September. However, the number for September can still be revised upwards, as it happened earlier this year. Moreover, November of 2018 saw the world’s first multi-crypto exchange-traded product (ETP), developed by Swiss startup Amun, coming to the SIX Swiss Exchange. It may not be an ETF (exchange-traded fund) but it is an important step towards them. Also, institutional investing is likely going to enter Bitcoin in 2019 with the estimated launch of Bakkt in January and Nasdaq offering cryptocurrency trading. Traditional finance has a lot of rules, both to protect the client and the service provider. Bitcoin is still not at that point, which is another facet that may hinder adoption among more traditionally-minded investors. A big push towards this may come from the Financial Action Task Force on Money Laundering (FATF), a G7-founded organization tasked with formulating (internationally adopted) policies related to money laundering. 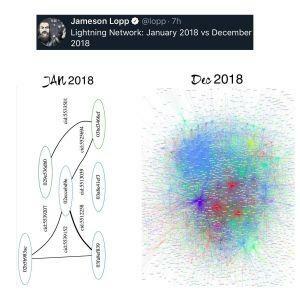 Even though 2018 was a tough ride, 2019 may let the cryptoverse breathe a little. With the amount of Bitcoin-related technologies and financial instruments on the way, Bitcoin may well get the boost it needs to get out of its current rut, potentially taking altcoins with it.